What impacts do-you see and feel? Our personal vehicles are a major cause of global warming. 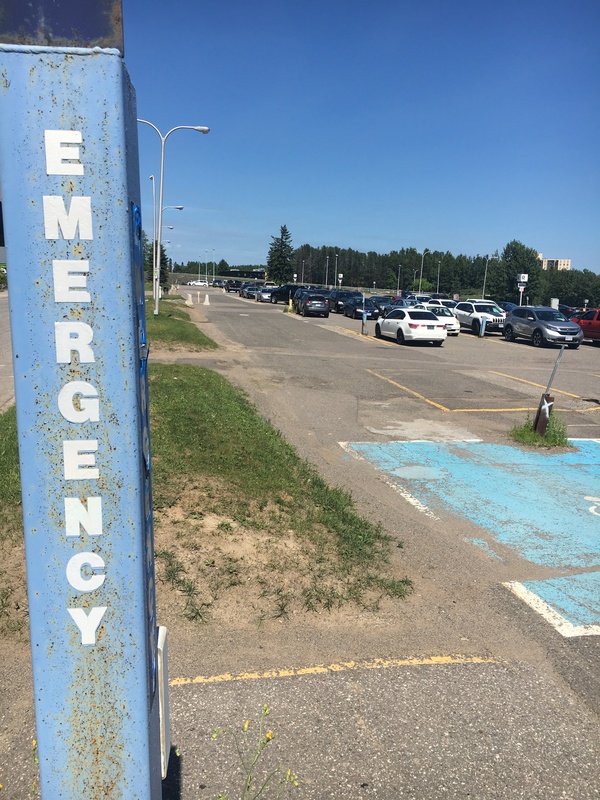 I took this picture in the parking lot at Lakehead University. The emergency sign indicates that the need to take action on climate is more urgent and more immediate than ever.